Wow, we have been enjoying school vacation week up in New England. This week we went to visit my parents for a few days. 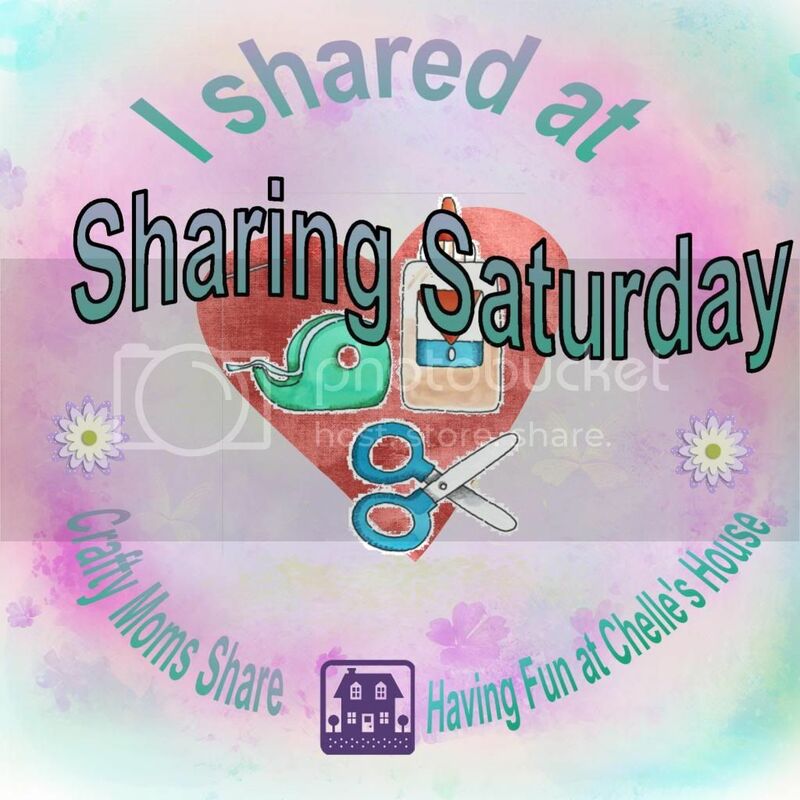 I caught up with my visiting last week's shared posts and once again the creativity of all of you is amazing! If you have not had a chance to visit all 85 of the shared posts, you should. I am so inspired. In fact I used a recipe shared for dinner tonight (see my Facebook page for more information). This week there is no most clicked. When I last checked it was a four way tie. So neither Michelle nor I will be featuring a most clicked. But make sure you go check out Michelle's features since hers are different than mine. Just visit Having Fun at Chelle's House. Now onto my features. Here are a few of my favorites from last week. 1) From Happy Hooligans: Homemade Cardboard Construction Set -- I love this and want to make one for Hazel! How fun and such a great way to recycle! 2) From Living Montessori Now! 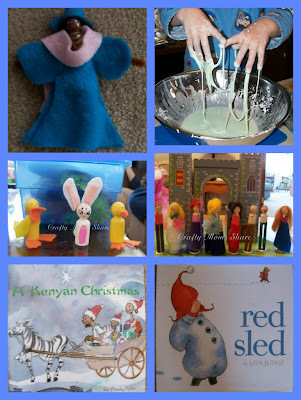 : Montessori Inspired Study of Africa -- This is a wonderful round-up of some hands-on activities to study Africa. It seems like a great topic to study during Black History Month. 3) From Zing Zing Tree: Pebble Art -- Ok, it may be the Waldorf education choice, but I love the creativity with nature here. 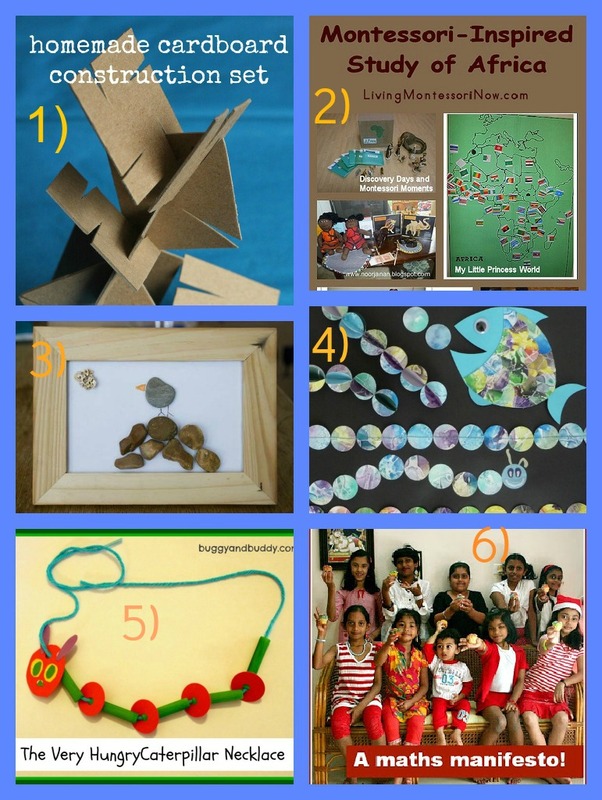 4) From ArtClubBlog: Paper Circle Crafts -- Oh, so much fun and creativity, plus getting to play with a new craft toy. Enough said! 5) From Buggy and Buddy: The Very Hungry Caterpillar Necklace Craft -- Oh adorable is this. I love it! 6) From Mums make lists: My Mum's Maths Manifesto -- Ok, I know this one is because I'm a former math teacher, but I love her Mum's reasoning and explanations! I want to find some time to explore some of her other math posts. 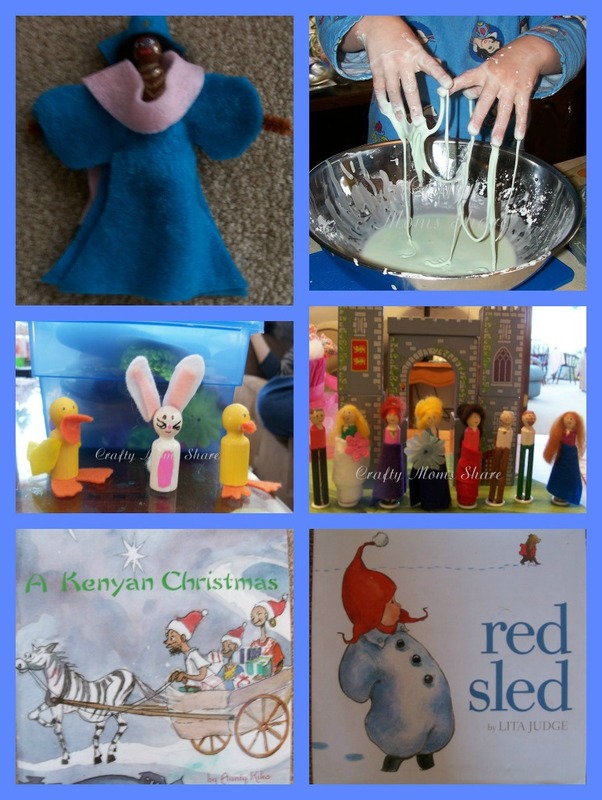 My Week in Review: This week I shared a Caribbean Cinderella, our first book for this month for the Virtual Book Club for Kids--Bartholomew and the Oobleck, my first Easter Peg Dolls, Royal Clothespin Dolls and two children's books--one is an update of my Christmas in Kenya post, and the other is a new favorite for winter. Thank you so much for sharing our caterpillar necklace! 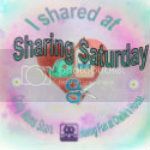 Thank you for hosting Sharing Saturday, I find some great ideas here! We made some green goo this week similar to Oobleck and the kids have just loved it! Hope you have a blessed weekend! Thanks for hosting! Not sure what happened with my Fake Snow post; somehow it is linked up twice! Sorry about that! No problem. I deleted the second one. Thanks for hosting. Always great to see a lovely collection of creative ideas. Thank you so much for the feature. Hope you have a great weekend!